Todd Gitlin is a New York activist. Joe Chabot was ERAP’s first organizer in Chicago. Chabot opened the first JOIN office just a few doors away from the Unemployment Compensation Office on North Kedzie Avenue. With co-organizer Dan Max, one JOIN organizer would leaflet the UCO and the other would stay behind to talk with workers who visited in response to the leaflet. In the first week, roughly one hundred people came into the JOIN office. According to an internal ERAP paper, about 80 unemployed people took on a regular role in JOIN with about ten to fifteen assuming leadership roles. Todd Gitlin endorsed the call. Todd Gitlin was named as a member of Democratic Socialists of America, in Democratic Left, January/February 1991 issue, page 16. 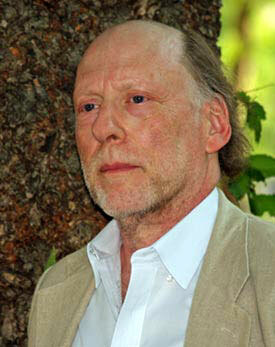 In 1996 Todd Gitlin, New York University was one of the original 130 founders of Campaign for America's Future. Todd Gitlin signed an April 2003 Statement on Cuba, initiated and circulated by prominent Democratic Socialists of America (DSA) member Leo Casey, calling for the lifting of trade sanctions against Cuba. Todd Gitlin of Columbia University, former leader of Students for a Democratic Society, longtime Professor of Journalism, New York University, was an identified member of JournoList - an email group of approximately 400 "progressive" and socialist journalists, academics and "new media" activists. In 2009 Todd Gitlin was listed as a signer of the Progressives for Obama website. This page was last modified on 9 May 2012, at 00:28.